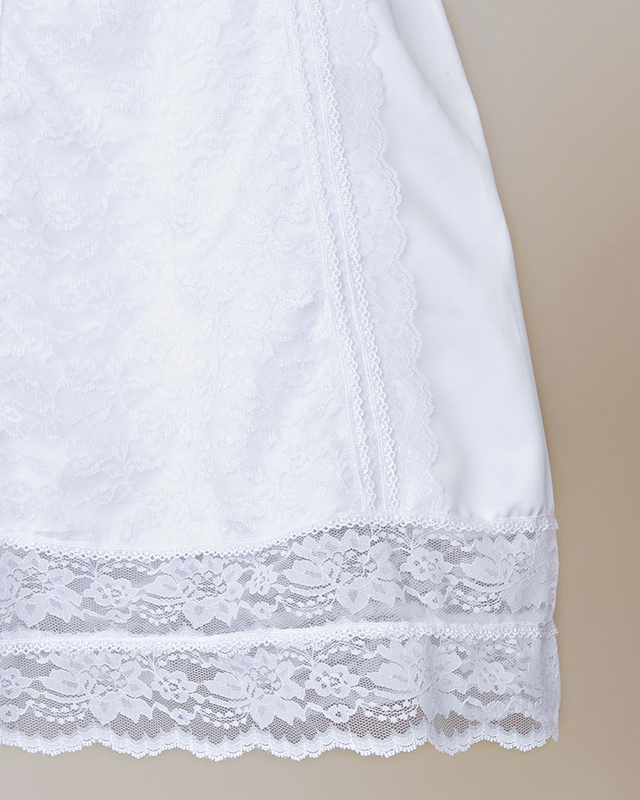 Lots of lace without being too frilly. 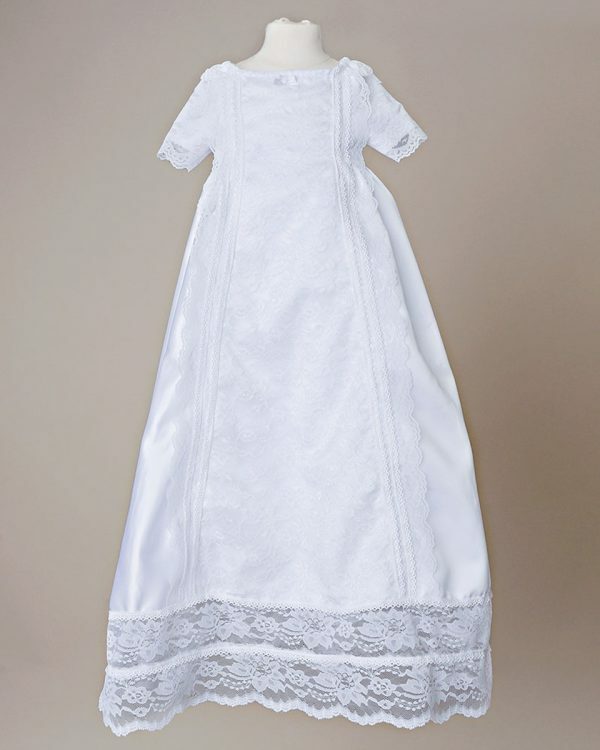 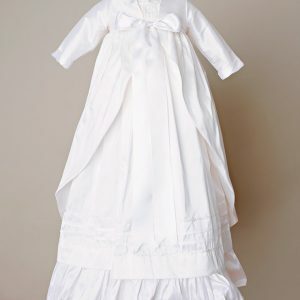 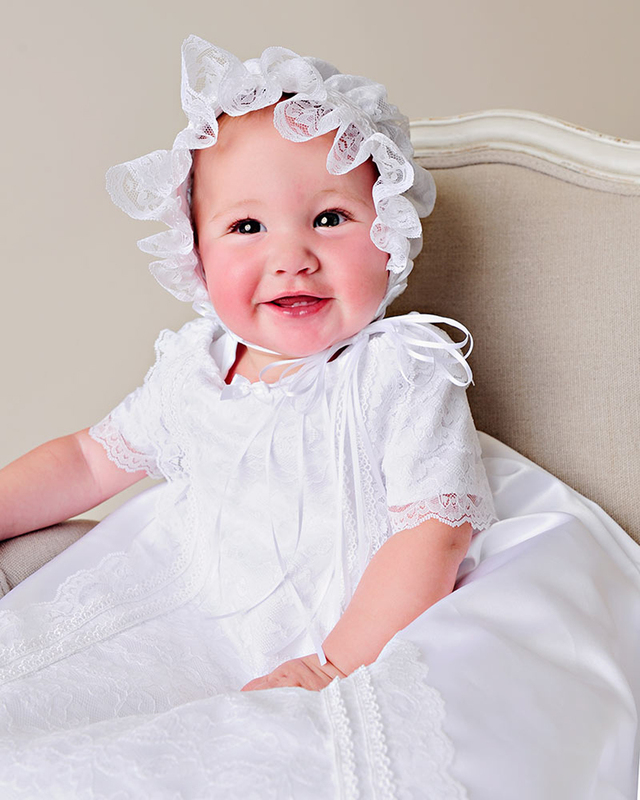 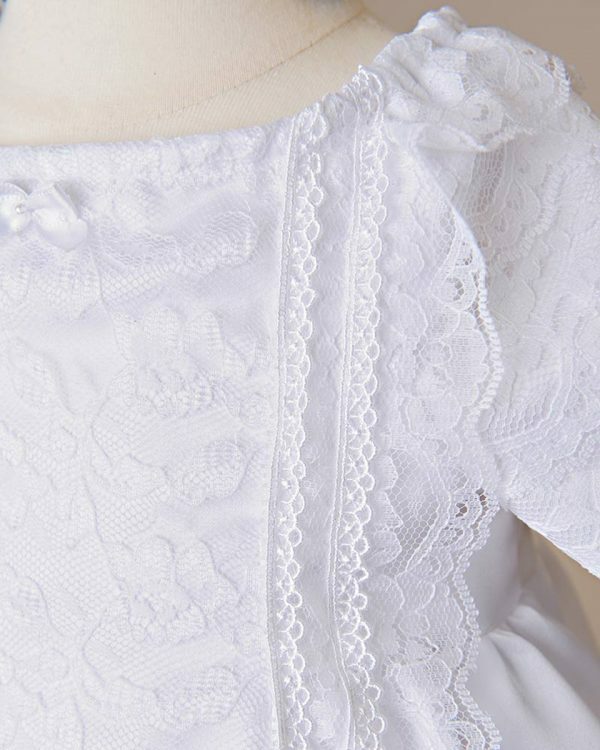 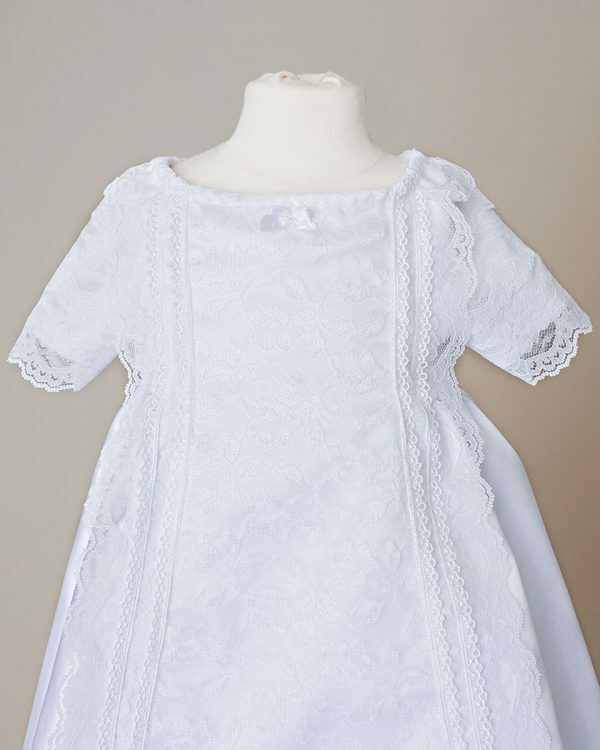 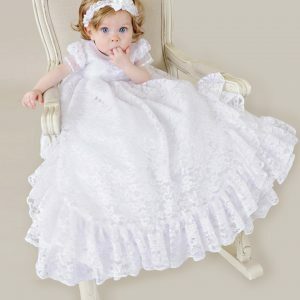 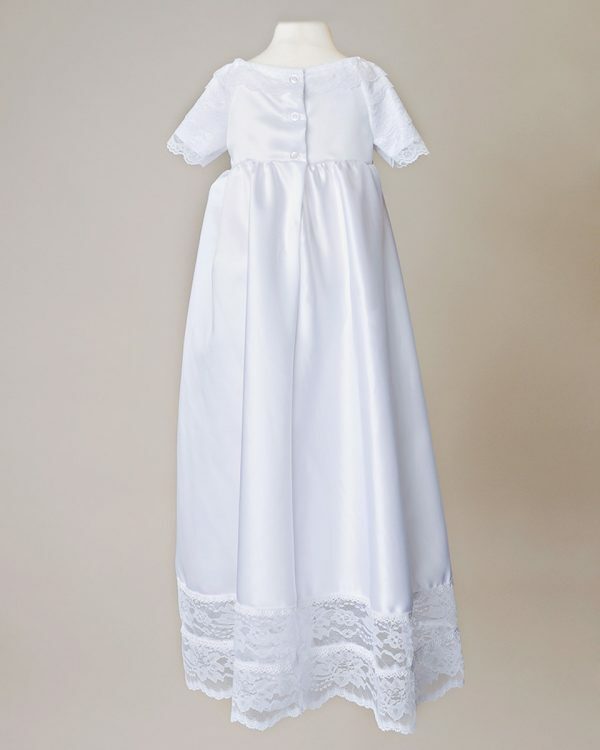 This renaissance inspired christening gown is the epitome of heirloom quality. 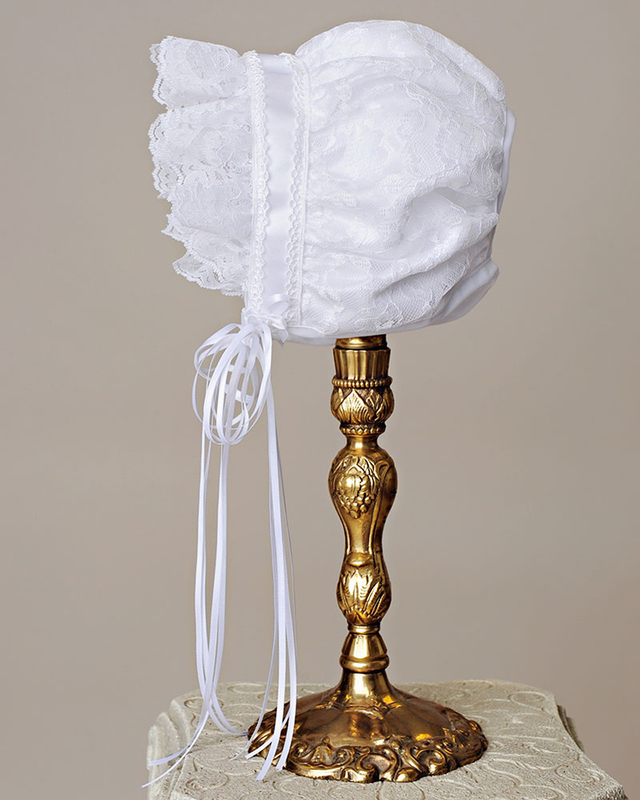 The bright white satin glossy lace offers a sense of sweet purity.